/ Home / Press office / Raise your hat for Brain Tumour Research in Plymouth! 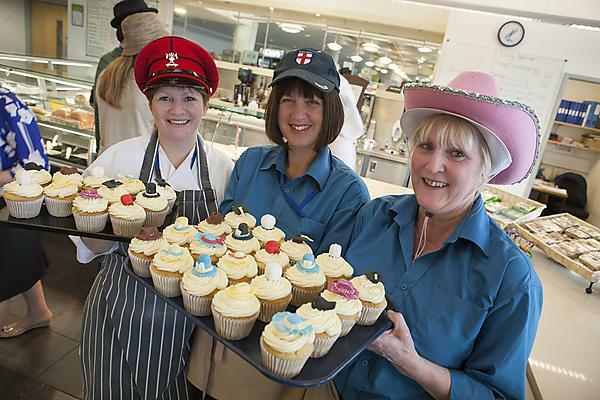 Raise your hat for Brain Tumour Research in Plymouth! From top hats to bowlers, boaters to sombreros, beanies to tam o’ shanters, hundreds of people in and around Plymouth are expected to don their hats on Friday 27 March, Wear a Hat Day, to raise money for Brain Tumour Research. A grand ‘hat-a-thon’ will take place at Drake’s Place, main University campus, and the Brain Tumour Research Wall of Hope at the John Bull Building, at 12 noon on Friday. Everyone is invited to come along and join a huge crowd of people wearing hats, including mascots from local sports teams, and be a part of the world’s biggest photograph of hat-wearing fundraisers. People are invited to text HAT to 70444 to donate £3. Meanwhile, on 25 March members of the Plymouth University Raiders squad will be on campus for this Wear a Hat Day event in aid of Brain Tumour Research. Team members will be posing for selfies with students and helping with small competitions and give away prizes around the area surrounding the Students' Union roof. Students and those participating in the event have the chance to win tickets to upcoming Plymouth University Raiders matches. The same day will see Plymouth milliner Patricia Pentecost from Just Seven selling hats on behalf of Brain Tumour Research. Patricia will be in Drake’s Café between 10.30am and 2.30pm. The fundraising initiatives are part of charity Brain Tumour Research’s national Wear a Hat Day campaign. Supported by celebrities such as Sarah Beeny, Sheila Hancock, Gillian Anderson, Linda Robson, Ricky Hatton and Vic Reeves, Wear a Hat Day is the culmination of Brain Tumour Awareness Month. Donning a hat for charity has really captured imaginations in and around Plymouth, with a number of organisations taking part including: Plymouth Albion, Plymouth Argyle, Devon Junior and Minor League, Devon FA, Plymouth Raiders, West Country Hawks, explorer Antony Jinman, Dartmoor Search and Rescue, Dartmoor Zoo, Plymouth Junior Chamber, the Real Ideas Organisation, Plymouth University International College and Santander. Vospers are running a Wear a Day event at their Marsh Mills branch on Friday, and even the cast of Peter Pan Goes Wrong at the Theatre Royal have got in on the act with their selfie in hats. Money raised will go towards life-changing research into brain tumours, supported by Brain Tumour Research. Plymouth University is one of four of the charity’s Research Centres of Excellence and it is the leading centre in Europe for pioneering research into low-grade brain tumours occurring in teenagers and adults. The partnership with Brain Tumour Research allows the Plymouth team to focus on bench-to-bedside translational research. By identifying and understanding the mechanism that makes a cell become cancerous, they are exploring ways in which to halt or reverse that mechanism. The team has previously identified new therapeutic targets and drug candidates, using cell biology techniques and unique in vitro models for brain tumours. A key innovation is fast track: testing new drugs in human primary cell cultures leading to innovative phase 0 trials leading to adaptive phase II/III trials. At present the only treatment options for people with such brain tumours are mainly invasive surgery or radiotherapy. By testing drugs in such a fast track way the team in Plymouth achieve the potential for making drug therapies available to patients both safely and faster.